Looking out the window on this overcast day, my mind wandered back to a week ago, when I was in paradise at the Golden Nugget Casino in Lake Charles, Louisiana. 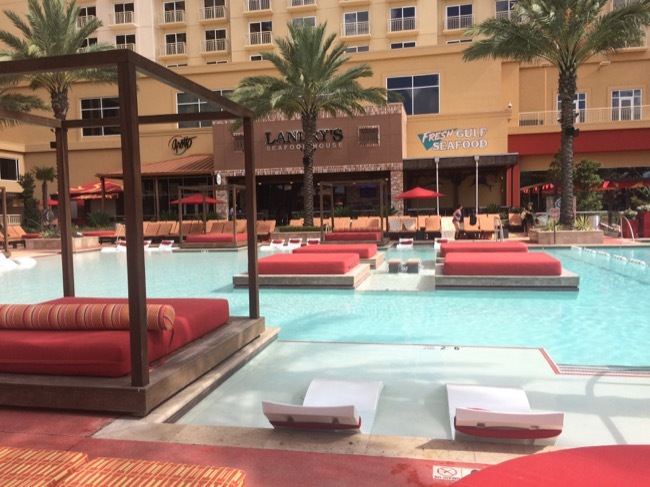 Here’s a picture of the pool area, which had couches and chairs in the middle of the pool, along with a swim-up bar! I spent most of my time at the blackjack table, mainly because I didn’t bring a swimsuit, but I did dip my feet into the pool while I sucked down a pina colada. There was also a lazy river next to the pool! Damn. Take me back, please.